What a view-ocean, sunsets, beach, wow what a deal! 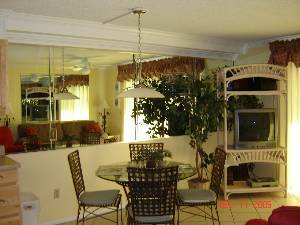 Directly on the beach, this centrally located gulf front Summit condo sleeps up to 6 & has great sunset view,under counter washer/dryer in our condo,view directly over West pool and beach,tiled in all wet areas, breakfast bar seats 3, dining table seats 4, fully equipped and NEW KITCHEN has dishwasher, icemaker in frig,microwave, 2 TVs, 2 phones,DVD/VCR, king bed, queen sleep sofa, & 2 bunkies in hallway bunknook.During spring break, this is the place for young adults.For the rest of the year, this resort is kid-friendly.It offers something for all ages,even free use of computers in the lobby! Being centrally located in the resort,our condo has great views yet not as much noise-close to the elevators, but not directly in front of them! Rates quoted/priced for Fall reflect discounted price. The weather is more unpredictable in late April,early May, September, October, and November and that is why rates are reduced at those times.Also, renovation projects are underway in the fall! We welcome you to the beach and to our condo! Please email for current rates! 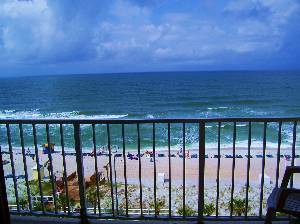 We also have a two bedroom 6th floor beachfront condo at Regency Towers(search by listing number 8317). Please email your dates to me for a price quote. Adult exercise room(separate his & hers)plus saunas, game room, two Olympic size pools(one seasonly heated),large wading pool, 2 Tiki Bars on site, indoor & outdoor hot tubs, lighted tennis courts,4 elevators, luggage carts,2 laundry centers on ground floor, Ice Cream Shoppe,Pizza, Internet Cafe(check your email free without lugging your own laptop on your trip),snack shoppe on-site.Two Laundry centers on site as well as washer/dryer in the condo! 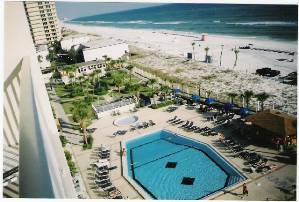 Jet ski rentals,parasail rentals, water park nearby, outlet shopping, restaurants, bike rentals, scooter rentals, Gulf World near, golf, putt-putt, go-carts,bungee jumping, Super Walmart 10 minutes away, next door to Spinnaker Club and Restaurant and Club La Vela.Restaurants across the street also. 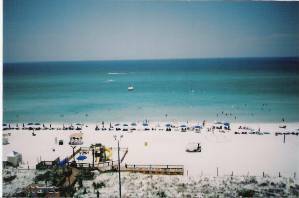 We rented a condo( #813) from Ellen at the Summit in Panama City Beach, Florida and it was absolutely wonderful. Ellen had everything you need in that condo, all you have to do is buy your food. 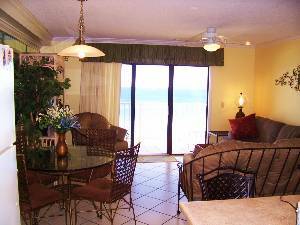 You have a beautiful view of the beach and the pools from the 8th floor. We would definitely rent from Ellen again, she was wonderful to deal with. We have stayed in Ellen's Condo several times and it has been perfect everytime. Everything is there for you so you have no worries. Ellen is great and very easy to deal with. We look forward to our next trip! 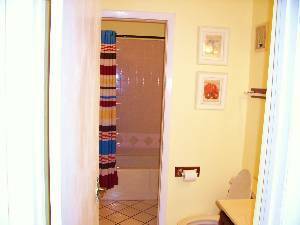 Very clean and good layout with king bed, bunk beds in hallway, and sleeper sofa if needed. Good size kitchen and all kitchen utensils and everything you will need. Just add bathing suit and food and you are ready to go. Ellen was very easy to deal with via email. 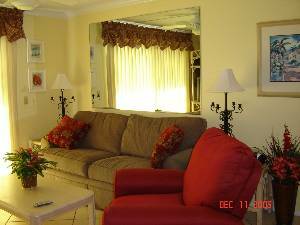 Middle September to February=from $89 to 59/nt+tax & cleaning fee,rates are determined at owners discretion and dependant upon renovation projects. Cashiers checks or money orders are required for rental fees. Security deposits will be mailed out two weeks from the departure date if the rental fees were received at least 21 days prior to check-in. 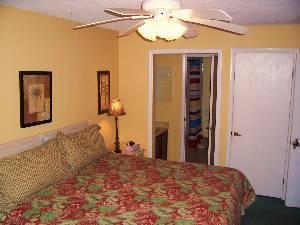 Owner rents weekly Spring break,late May,June, July,early August.Minimum of three nights other times, email for specials and current rates! 3 night minimums all other dates. Processing fee will apply if reservation is cancelled. A Security deposit is required in order to reserve. Security deposit will be returned two weeks after departure if received at least 3 weeks prior to check-in(time must be allowed for all checks to clear the bank). Owner does not accept credit cards but welcomes your personal checks,when received far enough out to clear the bank prior to check-in. Deposit: Deposit must be received in order to reserved your stay. It is best to confirm,via email, when the deposit has been mailed to owner. Cancellations and Refunds: Security deposits are mailed out to guests about two weeks after departure date AS LONG AS THERE WERE NO DAMAGES AND THERE WERE NO ISSUES COLLECTING THE FULL RENTAL AMOUNT AGREED UPON. Other Fees: The Summit Resort charges guests parking/security fee which you pay at the front desk upon arrival.